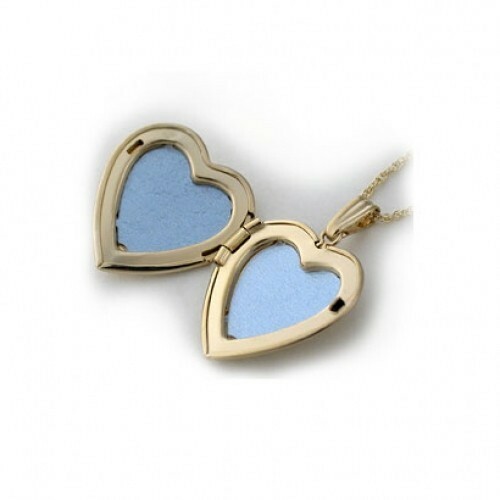 This traditionally embossed locket is a Heartsmith favorite. The delicate floral border reminds us of heirloom pieces from the thirties and forties. The center and back are polished and the edges are both polished and brushed. It is quite beautiful. 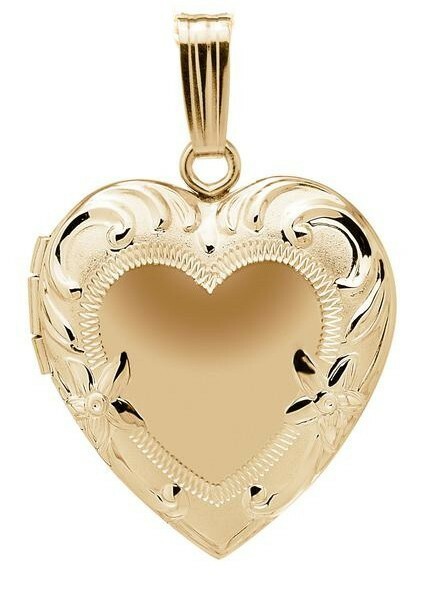 It comes complete with an 18", 14K chain and it is about 3/4 inch across. 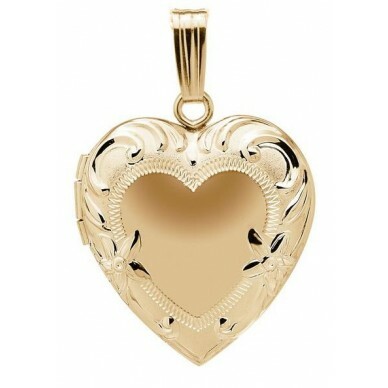 Made in the USA by one of the oldest locket manufacturers. It comes with a lifetime guarantee against defects in workmanship.